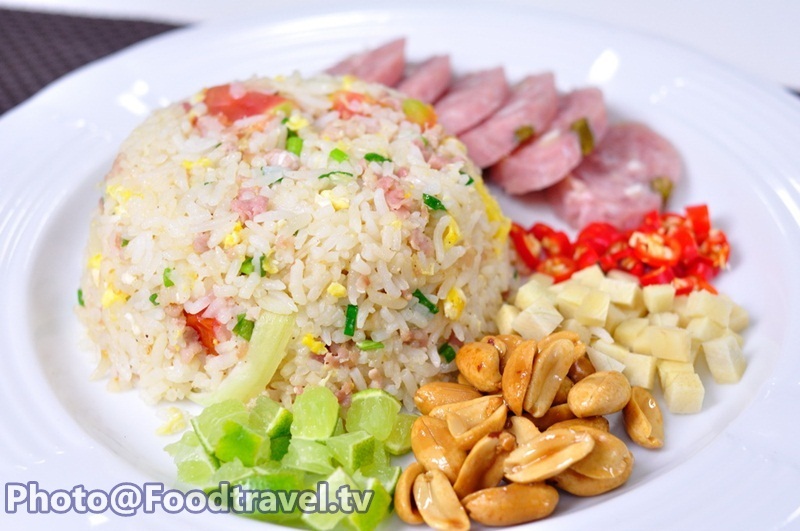 Fried Rice with Sour Pork (Khao Phad Namm Soung Krueng) - This recipe is a Thai single dish which so simple to do. 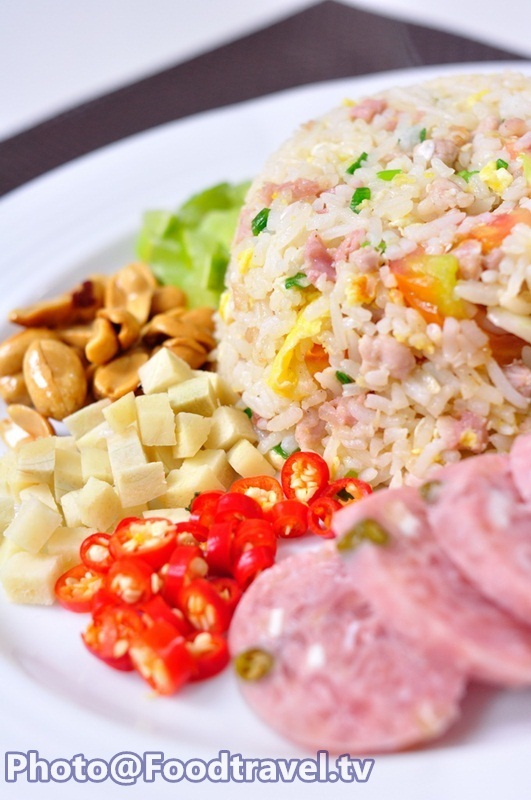 You’ll get full flavor of side dish, with spicy, sour and sweet. If you’re a sausage lover, don’t miss this menu. 1. Fry onion with oil, add minced pork and stir it together. Follow by chopped pickled pork. Fry until cooked. 2. Add eggs, rice and fry them well. 3. Add onions, tomato, and season with fish sauce, soy sauce, sugar and pepper. Fry it all together again until the rice get to dry. Finally, add the chopped onion. 4. Serve with all side dishes. Ready to eat.